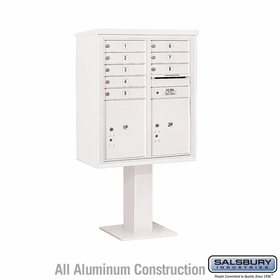 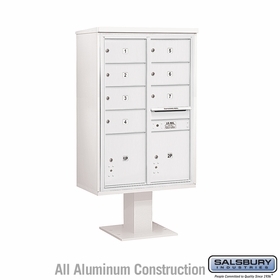 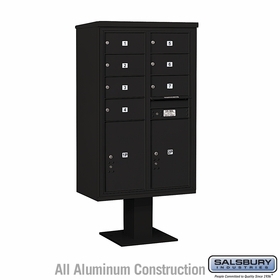 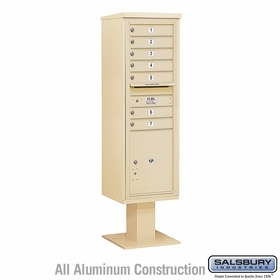 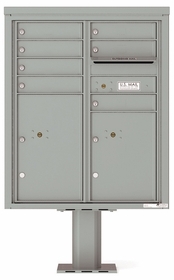 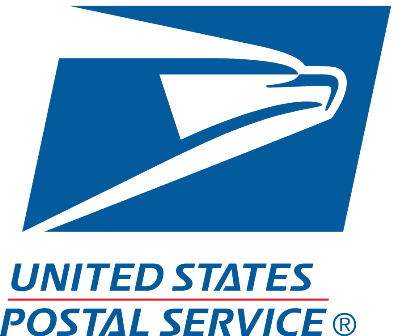 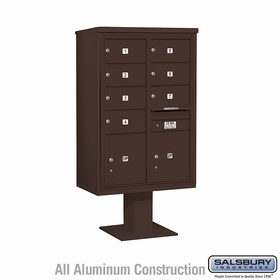 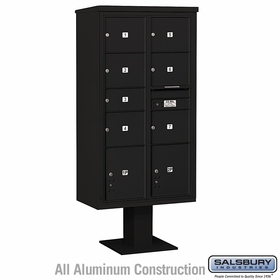 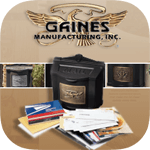 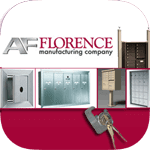 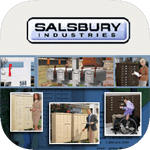 This 7 to 8 Doors pedestal mailbox collection from Salsbury Industries features locking mailboxes that can hold letters and parcels. 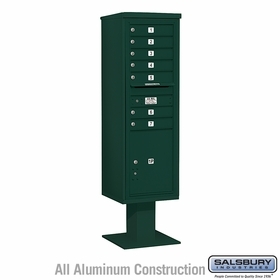 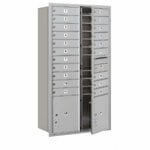 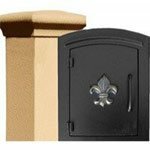 Choose from several finishes such as Bronze, Sandstone, Black, White, Green and Gray. 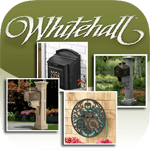 To order these weather resistant mail houses, chat with a live assistant.